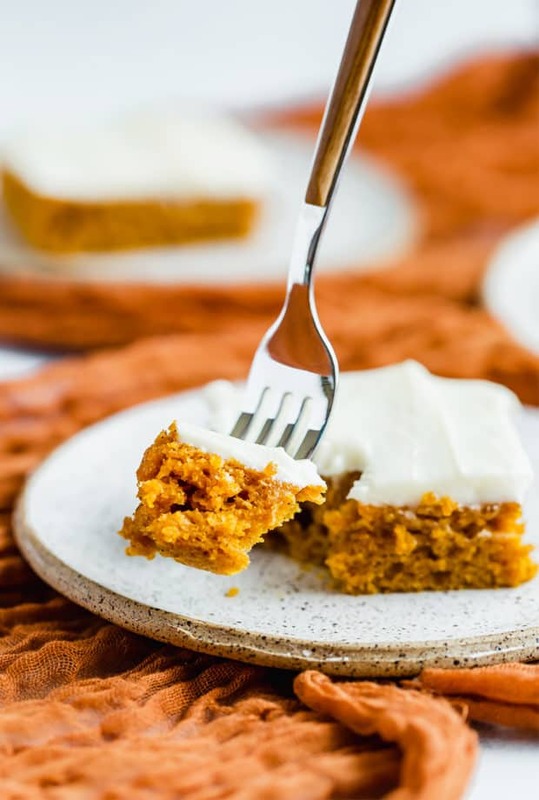 These delicious Pumpkin Bars are moist, packed with amazing pumpkin flavor, and topped with a silky smooth cream cheese frosting. 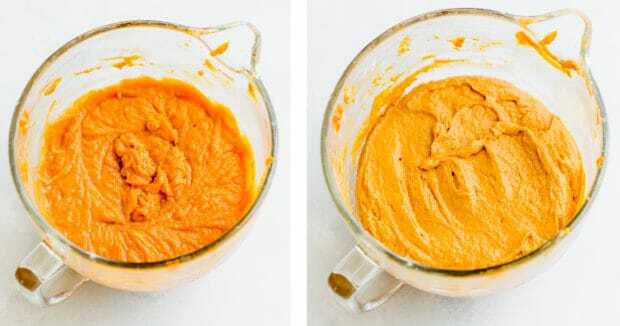 This is an EASY pumpkin recipe that’ll have you coming back for seconds… and thirds! ? As the weather begins to cool down I can’t help but pull out my cans of pumpkin puree! All I want to do come October September is bake allllll the pumpkin things!!! Proof ➡️ I made these Pumpkin Chocolate Chip Cookies in August. Yes, it’s true. 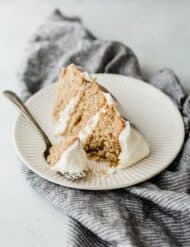 I make pumpkin desserts all year long (gasp)! 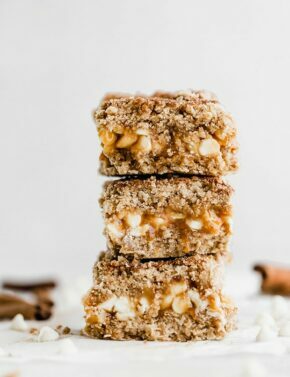 This pumpkin bars recipe is so easy to make! It takes 15 minutes of prep, and the rest is a matter of baking in the oven. Mix the dry ingredients together, and then set that bowl aside. Next, you’re going to mix 4 egg whites until they become frothy. (See picture above). We aren’t looking for soft peaks, but rather a step beneath soft peaks. 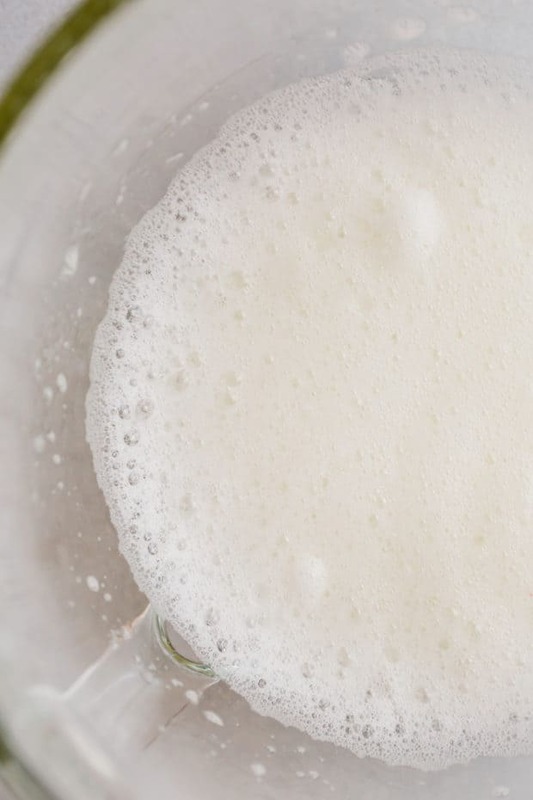 So once those egg whites have a milky white appearance and they look FROTHY, you’re good! Then go ahead and add the sugar, oil, and pumpkin to the egg whites. (This step is illustrated in the LEFT picture, below). Add the dry ingredients to the wet ingredients. (RIGHT photo, pictured below). 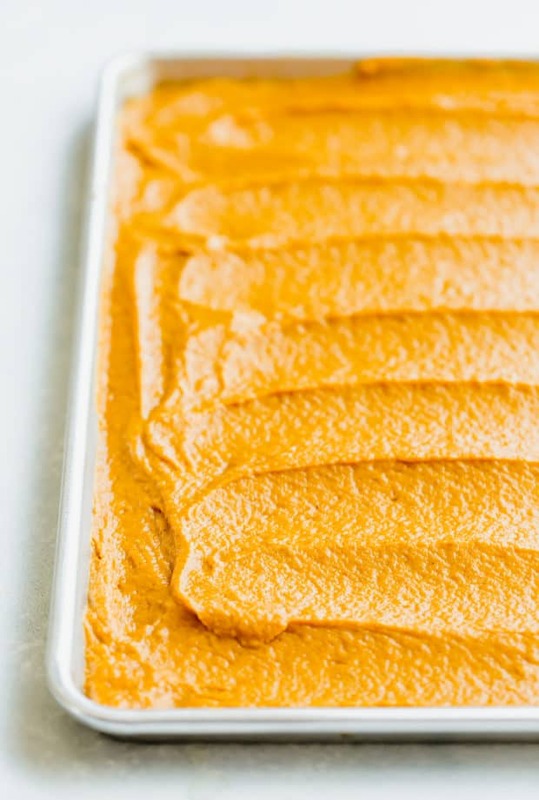 Spread the pumpkin bars batter into a sprayed cookie sheet. Bake for 25-30 minutes. Each oven varies, so I always check it around 25 minutes and then let it bake until a toothpick inserted into the center comes out clean. This took about 28 minutes in my oven. Once the bars have completely baked, allow them to cool. All that’s left to do is make FROSTING! 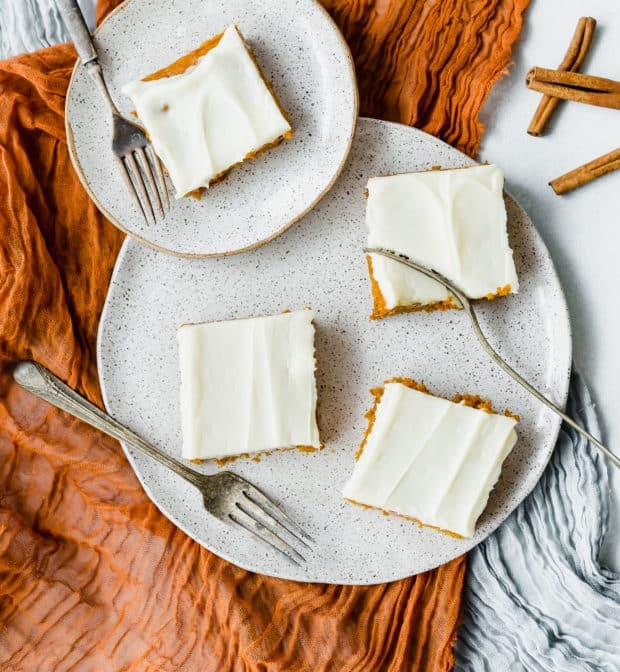 I’m sure these pumpkin bars would taste wonderful without the cream cheese frosting, but lets be real… who wants to do that?! 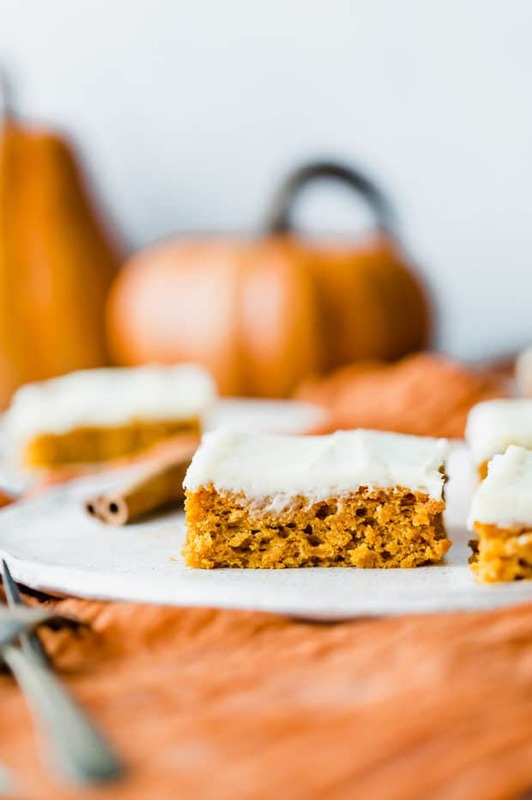 A cream cheese frosting adds the perfect sweetness, creaminess, and soft consistency to the top of these pumpkin bars. 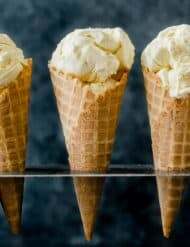 Mix the butter and cream cheese until they are light and fluffy. This will take about 1-2 minutes. I love using my Kitchen Aid (with the paddle attachment) to make frosting but you can use hand beaters as well. Add the powdered sugar and vanilla to the whipped butter and cream cheese. Mix until everything is smooth and evenly combined. If the frosting is too thick, add a splash of milk. A little goes a long way so be careful. If you add too much milk, you can offset it by adding more powdered sugar until you get your desired consistency. Use room temperature ingredients. 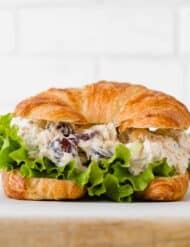 Pull the butter and cream cheese out of the refrigerator 30-60 minutes before starting. Note that the butter should be soft and malleable without being greasy or melted. 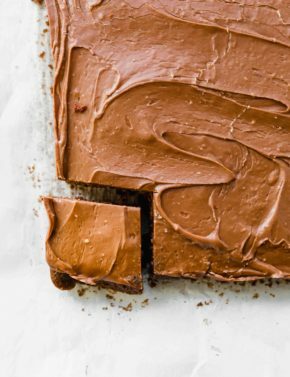 Use powdered sugar for a smooth frosting consistency. Don’t add too much liquid. You want the frosting to be thick, not thin and soupy. 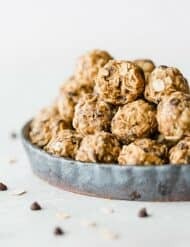 I hope I’ve convinced you to make this EASY Pumpkin Bars recipe! 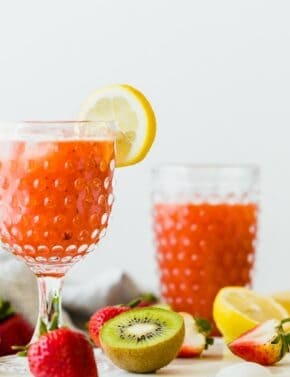 It’s a delicious dessert loved by everyone! 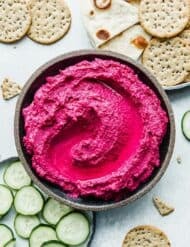 Don’t forget to SUBSCRIBE TO SALT & BAKER to get new recipes and newsletters delivered straight to your inbox! 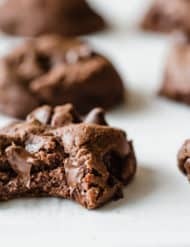 Simply enter your email in a subscription box located on the right hand side of the blog or scroll below the recipe and sign up there. And stay in touch on Facebook, Twitter, Pinterest and Instagram for all of the latest updates. 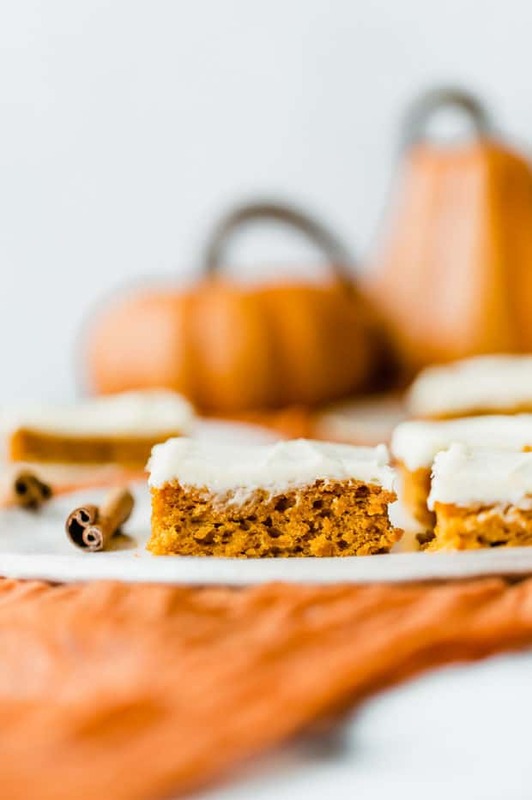 Delicious pumpkin bars topped with a thick and creamy cream cheese frosting! 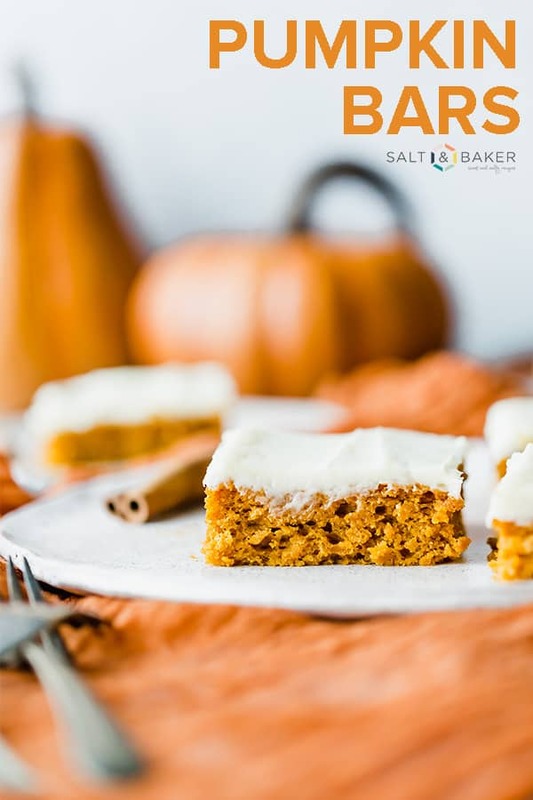 This pumpkin bars recipe will become a fall dessert staple! Preheat oven to 350°F. Spray a cookie sheet with nonstick cooking spray, set aside. In a large bowl sift together the flour, baking powder, baking soda, salt, ground cinnamon, and pumpkin pie spice. Set aside. In the bowl of a stand mixer fitted with the whisk attachment add the egg whites. Beat until foamy. Switch to the paddle attachment. Add the sugar, oil, and pumpkin. Mix to combine. Add the dry ingredients to the wet ingredients. Mix to combine. Spread the batter into the prepared baking sheet. Bake for 25-30 minutes, or until a toothpick inserted into the center comes out clean with no crumbs on it. Remove from the oven and allow to cool completely before frosting it. Beat the butter and cream cheese until smooth and fluffy about 2 minutes. Add the powdered sugar and vanilla. Beat until smooth. Add enough milk to create your desired consistency (I added 1 tsp of milk). 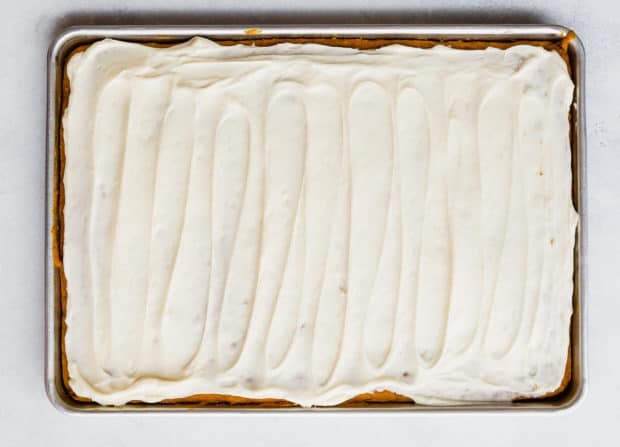 Once the pumpkin bars have cooled, spread frosting on top! 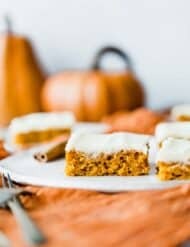 These pumpkin bars are so yummy! Loved the frosting too. It was delicious!